For this tour we have selected three vineyards within the beautiful wooded valleys & mineral rich slopes of the Orvietto hills. They are family run vineyards which have all been replanted and given a renewed lease of life within the last decade by the current family members. Their enthusiasm and love of their products and the region shine through. Tenuta Vitalonga. Vitalonga means ‘long life’ in Italian and was the greeting traditionally given by the grandparents of the Maravalle family owners when meeting friends over a glass of their wine. Their wine is produced from red grapes to the highest specifications combining tradition with new technologies. The soil at the vineyard is rich in fossil shells and produces a rose from a selection of Merlot & cabernet grapes, a red wine ‘phiculle’ from Cabernet Franc & Montepulciano grapes, ‘Terra di Confine’ an elegant and powerful red wine; ‘Elcione’ a pleasant and versatile red and ‘QRW Sangiovese’ a fruity wine with young pleasant character produced in collaboration with Dr Riccardo Cotarella one of the most famous Italian oenologist. After a tour of the vines and a conducted tour of the winery we repair to Vitalonga’s restaurant where we taste four of the wines paired with a three course seasonally inspired menu. During the meal the winemaker will introduce each wine and explain the pairing of the wines with the particular courses. This bijoux vineyard lies in the northern end of the Chiani valley between the hamlet of Carnaiola and the Murogrosso ridge in an area particularly suited to wine growing with its south facing slopes and special soil. Orvieto D.O,C. Vines were planted on the slopes in 1970 and renewed in 1992. Since then both white & red grapes have been planted. The Winery is located in an old farmhouse and produces four red wines using a mixture of red grapes, a mixture of Merlot, Sangiovese Cabernet Franc and Cabernet Sauvignon . Their white wine uses Trebbiano, Malvasia, Drupeccio, Grechetto and Chardonnay vines. The wines all carry the classification IGT which indicates they are typical of the region. Interestingly the estate comprises many different soil types spread over 1200 hectares which allows different grape varieties to be planted. Here the emphasis is always on quality, grapes are handpicked, with great care taken to select only the best of the clusters which are then vinified meticulously. Following a guided visit round the cellars there will be a wine& oil tasing of the Estates wines – Elicius, Mi.Mo.So and Gatto Gatto wines paired with local cheeses and salumi. Elicius wine is made from a blend of Montepulciano & Sagratino grapes aged in oak casks for 18 months. Mi.Mo.So is a blend of Sangiovese, Merlot and Montepulciano grapes aged in barrels for 12 years. The final wine to taste is the ‘Gatto Gatto’ a young wine blended from Sangiovese and Montepulciano grapes. In addition you can purchase olive oil, beans and lentils grown on the Estate. The day ends as the sun sets over the wooded hillsides home to abundant wildlife and specialities such as truffles and mushrooms. 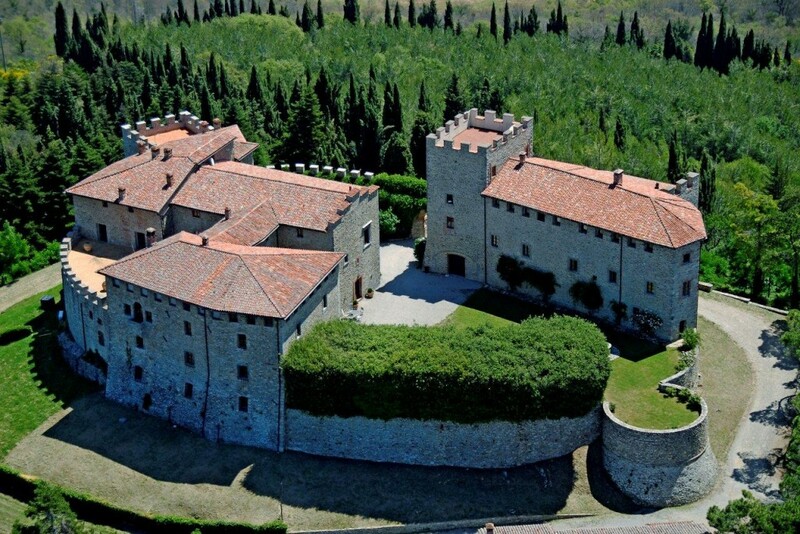 I'm interested in your Wine Tour 2 - Umbria - Terra Confine, please contact me with more details and to confirm the dates. Please type the characters above into the box below before sending your booking.